You don't just buy a phone; with it you also eed a case , headphoes, a power bank , memory card and so on. With an ocean of mobile accessories out there , you can end up feeling like you are drowning in choices. 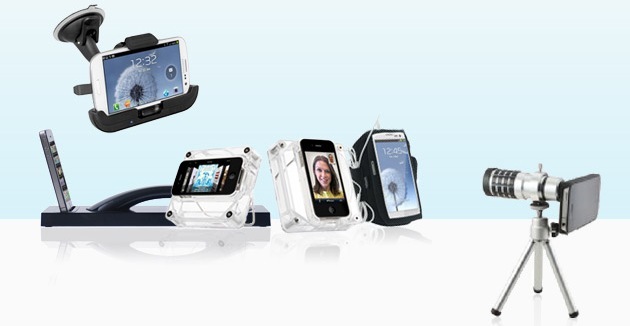 So here's our list of mobile accessories to help you. The SandiskUltra MicroSDHC 16GB memory card multiplies your storage space, so you can do more with your phone, It has space for everything from work-out playlists to HD videos, and comes with a seven-year warranty, so you are all set with your storage needs. The Jabra BT2046 Bluetooth headset is perfect if you dont want to be bothered with wires. Small, light and comfortable to wear, this headset easily fits into your ear with the provided ear hook. The device pairs with up to two of your Buetooth Smartphones. simultaneously. Excellent for eliminating noise and echo, it is equipped with an electro-dynamic receiver and an omni-directional microphone to provide sharp and full range sounds. Don't you just hate it when your mobile runs out of charge while you are en route to an important appointment ? The Mivi car charger is here to save the day ! Its Smart Charge Technology detects your device and charges it as its fastest supported speed, and works with wide range of cables - from USB to Lightning Port, Yup , this one coulb be your nes favourite. If you're a biking enthusiast, we have just the companion for your adventures. The Lifestyle-You mobile phone holder is a sturdy device that clamps on to your bike with a solid grip and gives you 360 degree rotation. With this device - from viewing maps to accessing the camera - there is nothing you cannot do as you explore the new terrain. Virtual reality is all the rage, and thankfully , this technology is becoming increasingly affordable so more people can enjoy the experience. The JT VR BOX 2.0 Virtual Reality glasses is compatible with wide range of devices , and promises an immersive experience while being completey dust-free. Whether you are on an important skype call or trying to figure out directions on a map app. 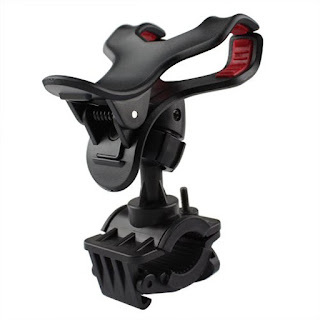 The ZAAP Quicktouch One Premium Car Mount Mobile Holder (3rd generation) lets you go hands-free and gives you a clear picture of your screen. The extendable arm provide you with closer view of your phone and you can also maneuever it to suit you. It is easily mountable , either on the windsheild of the dashboard of your car, With a solid grip , you can be assured that your phone will be safe, even through a bumpy ride. Although they took some flack in the begining , selfie sticks have helped many of us enjoy our vacations more ( without having to ask random strangers to take pictures of us ). The ZAAP NUSTAR1 Bluetooth Selfie Stick expands to 37 inches length, and folds down to 9 inches so it can be carried in your pocket. Equiped with Bluetooth connectectivity, this device is claimed to last over 4000 clicks/ charge.